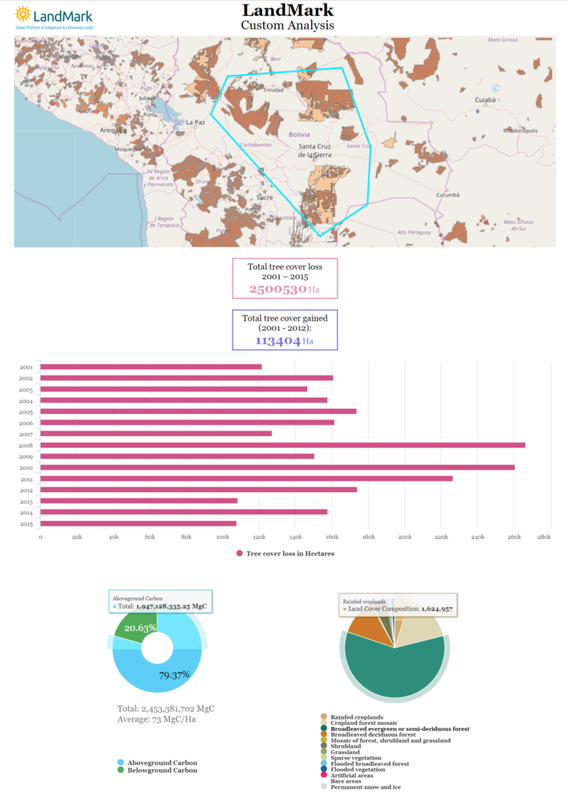 Blue Raster is pleased to work with the World Resources Institute (WRI) on a recent initiative to release new datasets and tools on LandMark– an online, global platform providing maps on Indigenous and Community Lands. The new analysis features and data focus on measuring the impacts Indigenous Peoples have on climate change mitigation and adaptation. According to a recent study, Indigenous Peoples and local communities manage at least 24% (54,546 MtC) of the total carbon stored above ground in the world’s tropical forests, a sum greater than 250 times the amount of carbon dioxide emitted by global air travel in 2015. Additionally, Indigenous Lands that are legally recognized experience rates of deforestation that are two to three times lower than non-tenure secure lands, according to Peter Veit, director of WRI’s Land and Resource Rights Initiative. Katie Reytar, a research associate with WRI’s forest program. To build the updated site, Blue Raster harnessed the power of ArcGIS Online, an entirely web-based mapping platform that allows organizational access to datasets. By leveraging ArcGIS Online, WRI can add, remove, or edit maps in a matter of minutes and publish their changes instantaneously. Blue Raster also leveraged WRI’s Global Forest Watch MapBuilder application template to overhaul the design of the map. The map features an improved user-friendly navigation and analysis pane. The MapBuilder template allows anyone with an ArcGIS Online account to turn custom maps into interactive web applications. As part of the project, additional functionality was imported into the MapBuilder core, all of which is formally written in the documentation for anyone to add their own customizations to the template. 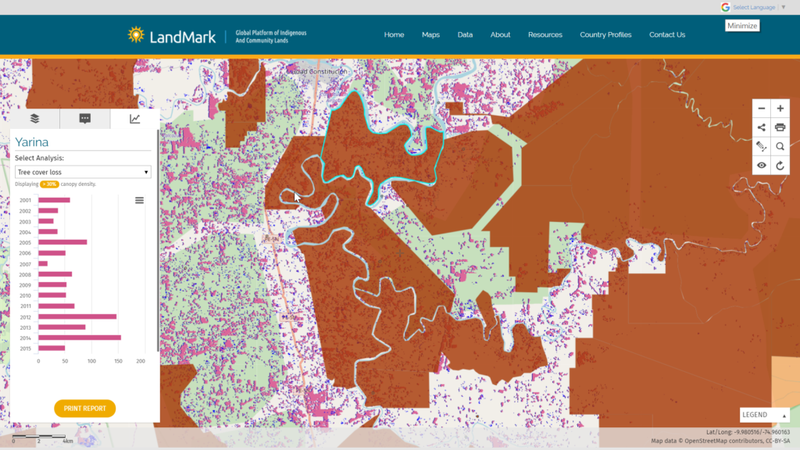 See LandMark’s new tools and datasets at www.landmarkmap.org.